Mission: To be the Dental Industries choice for Affordable Equipment by offering High Quality, Fair Priced solutions while exceeding the expectations of our Customers. Vision: To offer products and services built upon Quality, Integrity, and Pride, while minimizing the environmental impact, and providing a rewarding workplace for our employees. Dental Equipment Liquidators, Inc. has been providing High Quality Refurbished Dental Equipment since 1998. 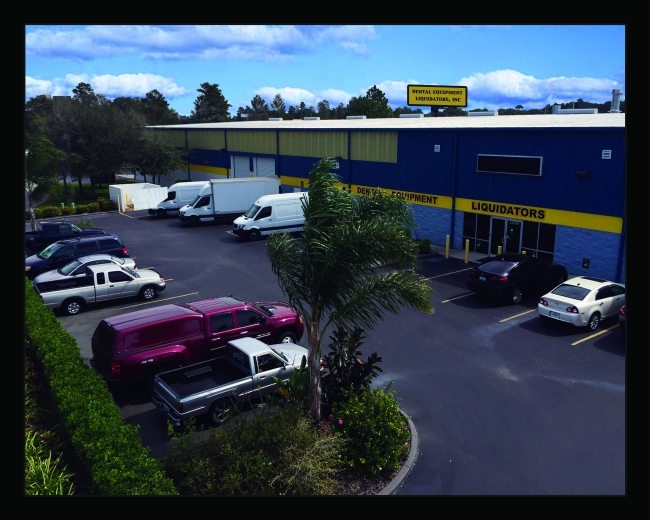 We own and operate a modern 60,000 SQ foot Facility that is stocked with both new and refurbished equipment. We invite you to visit our showroom and tour our production facility to discuss your needs and advise you on new equipment options and the advantages of our refurbished dental equipment. If you plan to visit us, be sure to read about our Fly-In-For-Free Program and Policies. This great offer will reimburse up to $700 of your travel expenses on purchases of $8,000 or more. Our team has over 80 years of combined experience in the Dental Field. We have an excellent reputation, and we work hard at keeping that reputation. Dental Equipment Liquidators, Inc. strives to provide Dentists and other Medical Professionals with affordable alternatives to high priced equipment. Our primary goal is to ensure that our customers receive the highest quality of service, as well as the BEST PRICES when buying our products. We offer a comprehensive, one year parts warranty on parts and 90 days on labor for most of our Refurbished Equipment. We also can service, repair and install most of your equipment. We stock a wide variety of obsolete parts and offer a great selection of affordably priced new equipment. If you need 1 item or 100 Operatories... From A-dec to Pelton Crane, we can meet all your needs. Copyright © 2008-2018 by Dental Equipment Liquidators, Inc.